Now that Amazon’s $13.7 billion acquisition of Whole Foods has been green-lighted by federal regulators, the online giant has announced it will begin slashing prices starting on Monday. Shares of Kroger, Costco, and other grocery stores immediately fell after the news was released. Amazon is buying Whole Foods: What does that mean for your shopping? 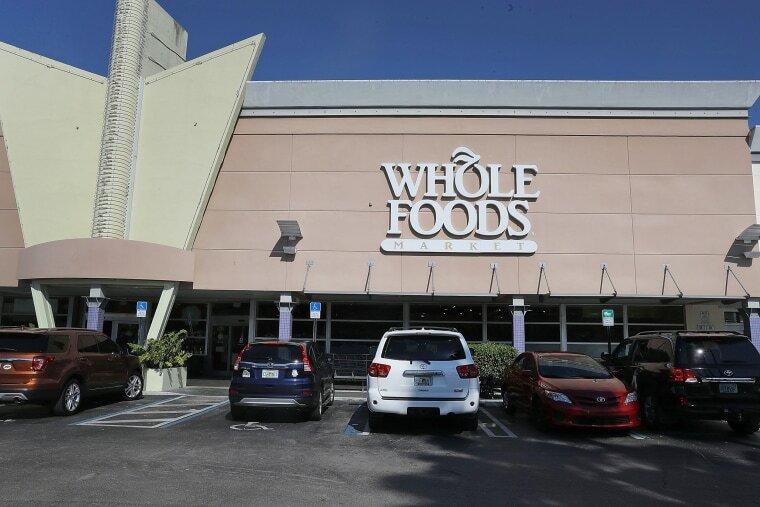 As part of a joint vision to make Whole Foods’ “high-quality, natural and organic food affordable for everyone,” customers will immediately see “lower prices on a selection of best-selling grocery staples,” said Amazon in a press release Thursday afternoon, citing “organic bananas, responsibly farmed salmon, organic large brown eggs, and animal-welfare-rated 85 percent lean ground beef” as some of the lower-priced fare. Amazon also detailed some of its plans to integrate brick-and-mortar customers and online users: Certain Whole Foods stores will also have lockers where shoppers can pick up or return goods purchased on Amazon. “We can't wait to start showing customers what's possible when Whole Foods Market and Amazon innovate together,” said John Mackey, Whole Foods Market co-founder and CEO. Amazon — already by far the nation's biggest e-commerce company, with annual online sales more than 5½ times those of No. 2 Apple — stands to acquire Whole Foods' more than 460 brick-and-mortar stores, as well as priceless data about its shoppers.